Property owners often rent out their property to other people for residential or commercial purposes. This makes them a landlord and landlord forms are usually used by these people to keep track of their transactions with their tenants. 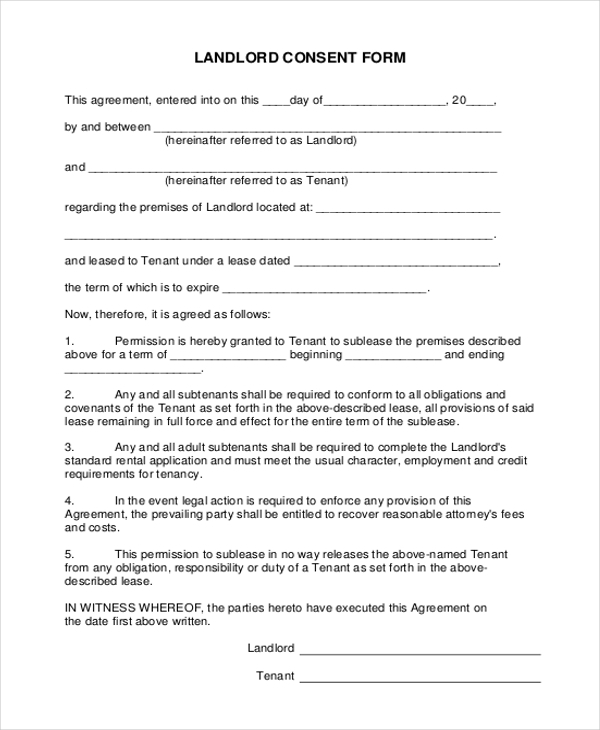 There is a wide range of landlord forms available which are used for various reasons. These forms allow the landlord or the tenant to list down essential details and information that may help them in gaining certain provisions and benefits. 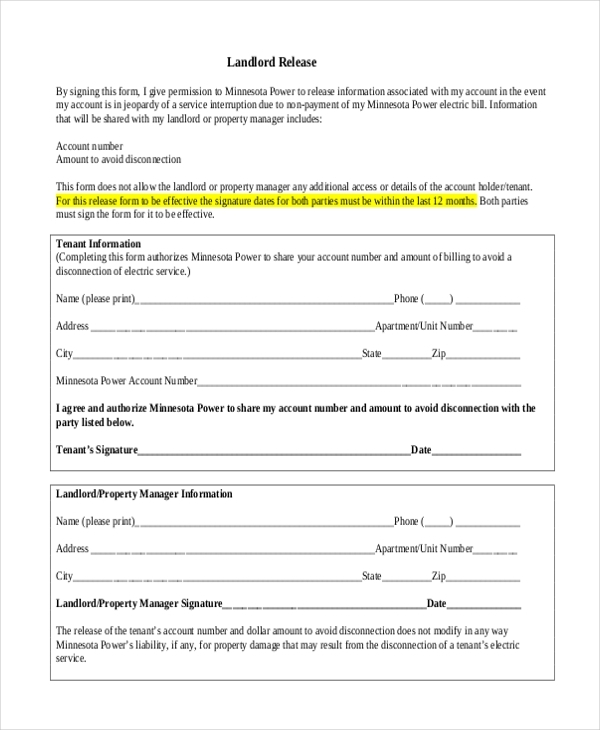 When a landlord offers his property for rent to a tenant he can use this form to sign a legal agreement with the tenant. The form comprises of the clauses that both the parties should agree and adhere to. 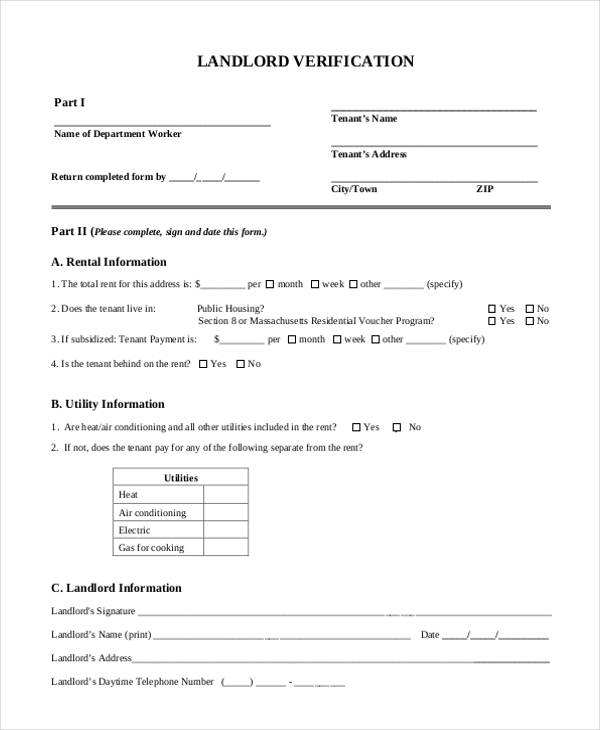 A landlord can use this form to collect the personal information of people who may be interested in renting his property. He can then assess these forms to zero down on the person who may be an apt tenant for him. 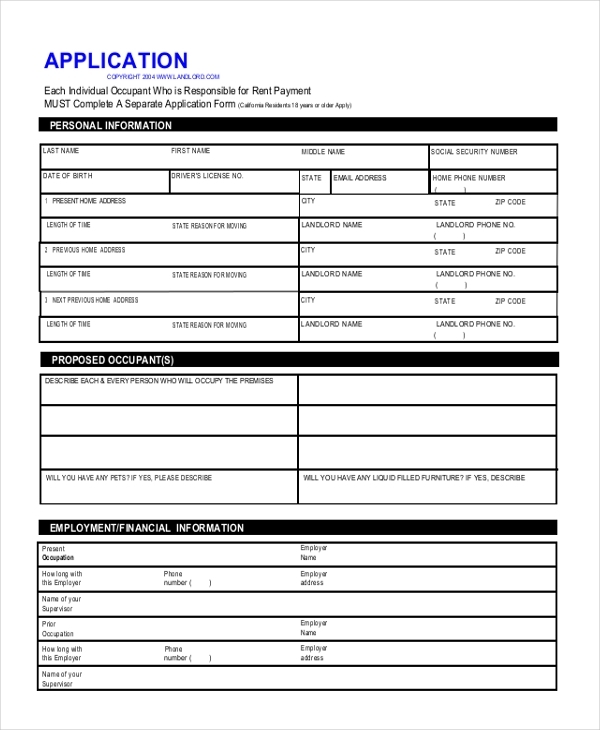 This form is usually used by a landlord to offer an affidavit to a tenant which may, in turn, help the tenant to get some special privileges like home rent allowance, tax rebate etc at his workplace. 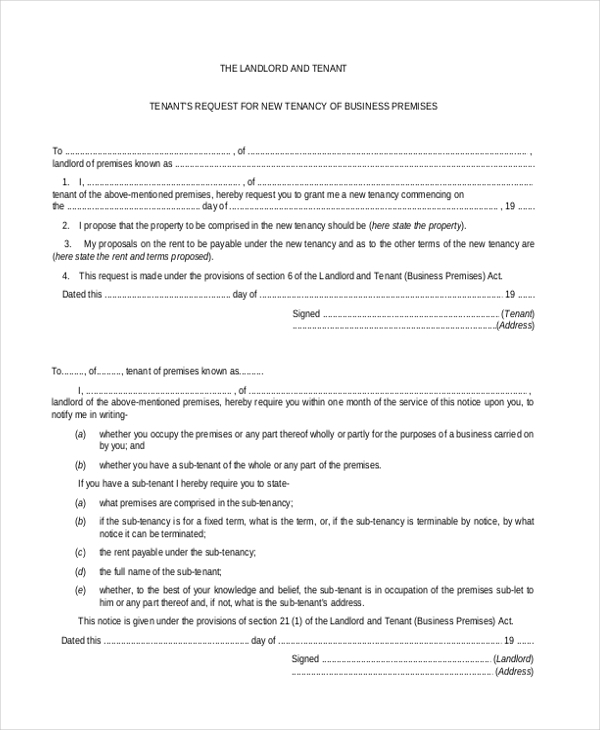 When a landlord rents out his property for commercial purposes, he can use this form to authorize the tenant to carry out his business on the property premises. 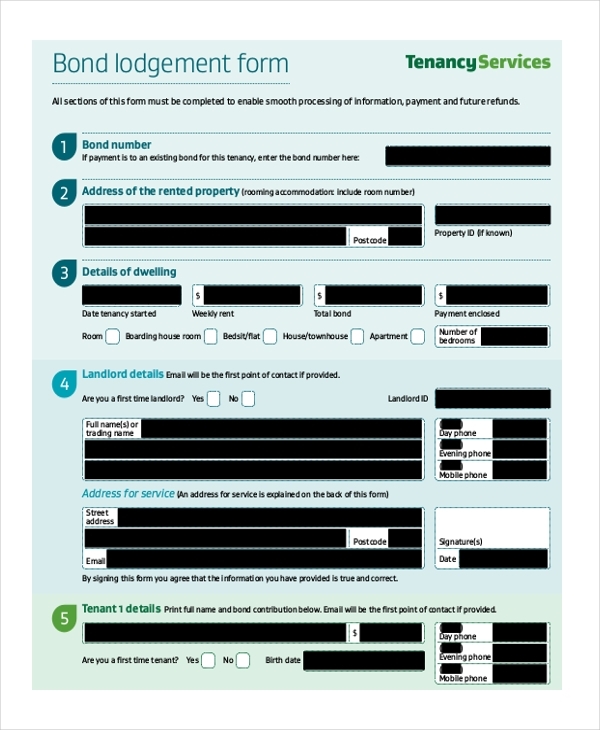 When a landlord requests a security amount from a tenant, this form can be used to elaborate on the amount paid by the person and the other conditions of tenancy. A tenant can sublease a rented property to another person only with the consent of his landlord. It is in such a scenario that a landlord can use this form to give his consent and list down the conditions of subleasing. 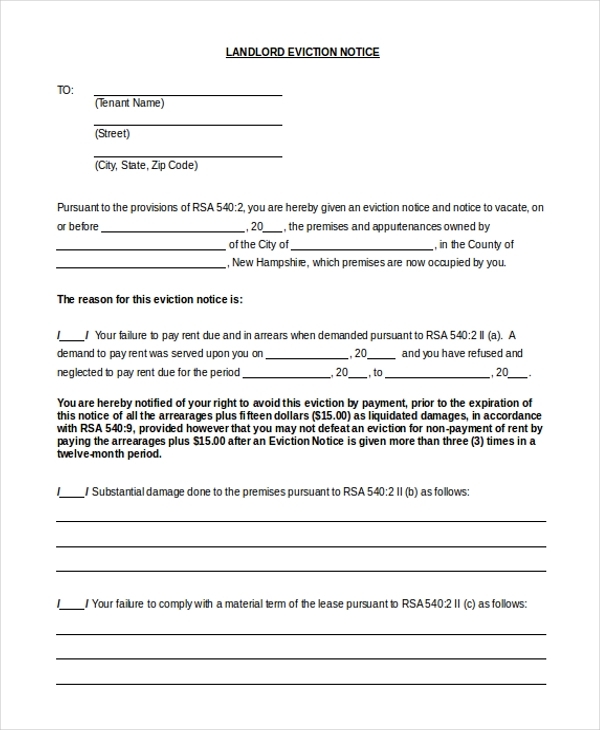 A landlord can sign a legal contract with the tenant to whom he may be renting out his property by using this form. In the form the personal details of the two parties, information about the property and the clauses that guard the tenancy are entered. 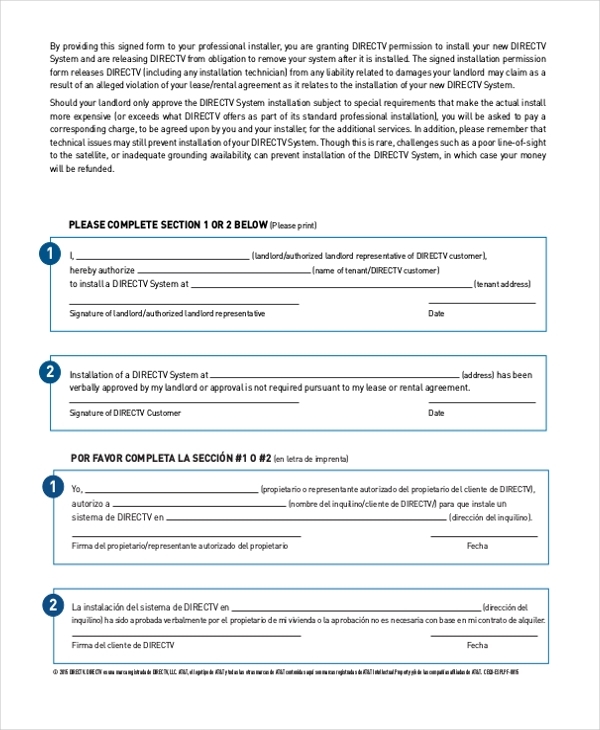 This form is used by a government agency to let a property owner declare his property in their government roster as a private one or one that is rented or leased to others. 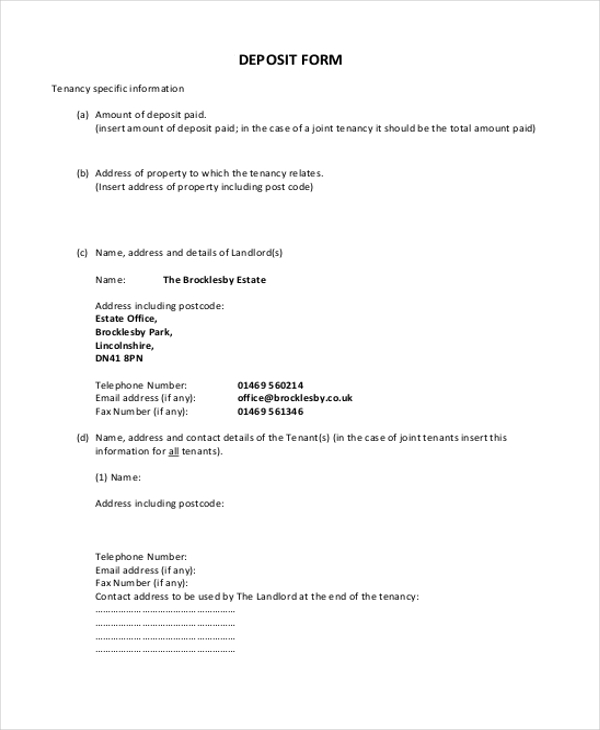 This form is used by the landlord to confirm the receipt of deposit amount from the tenant. In this form, the details of the tenant and the amount paid is filled. When a landlord wishes to evict a tenant from his property, he can use this form to give the person a notice. In the form, he is required to fill in the reason for the eviction. 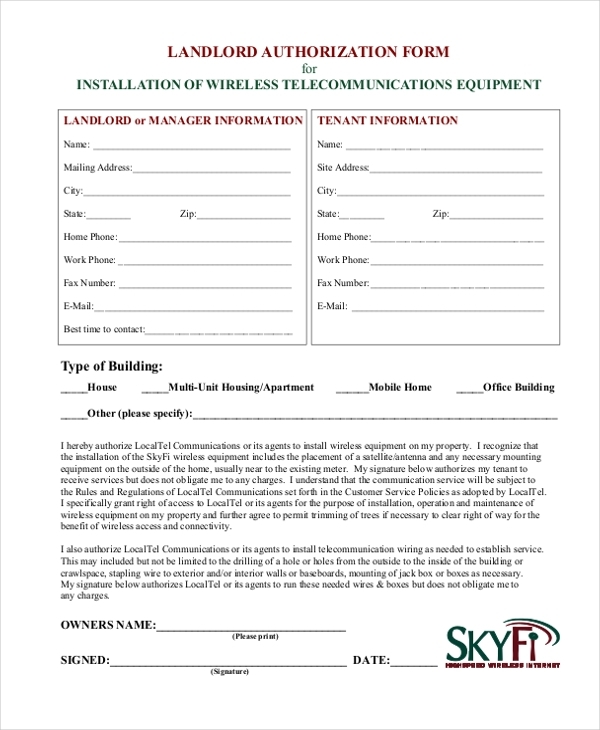 When a landlord rents out his property with equipment, he can use this form to create an inventory of all the equipment. This form will later come in handy when the tenant vacates the property. 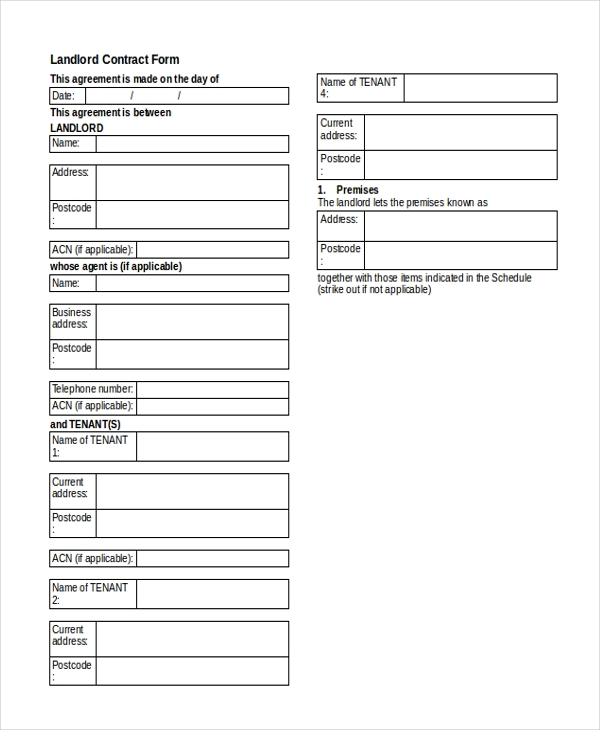 This form can be used by a tenant to get the permission from his landlord for some special reason like hosting a property, subleasing a part of the property etc. In the form, he should specify what he is seeking permission for. 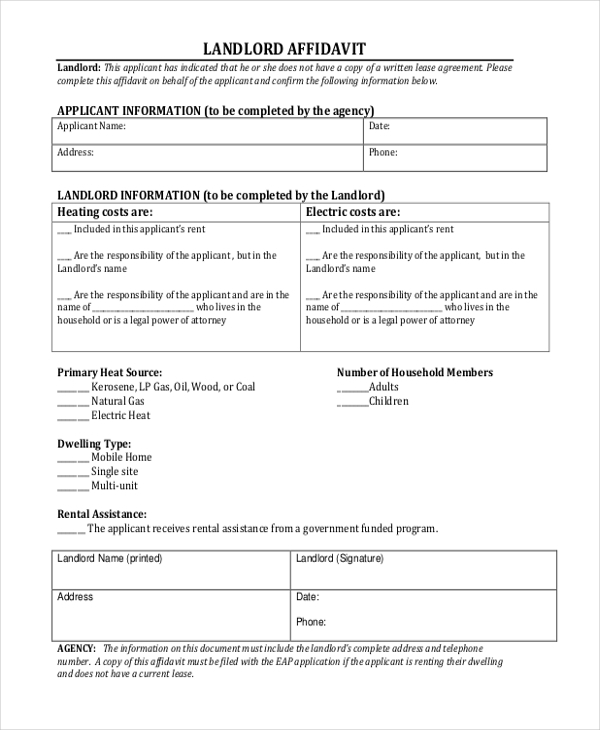 The government agencies use this form to enable property owners to register themselves as valid landlords in the government rosters. The landlord is required to fill in his personal details as well as the details of his property. A landlord cannot release any personal information of his tenant unless he has acquired prior permission from the person. He can use this free landlord form to get this permission from the tenant to release any information in case of an emergency. 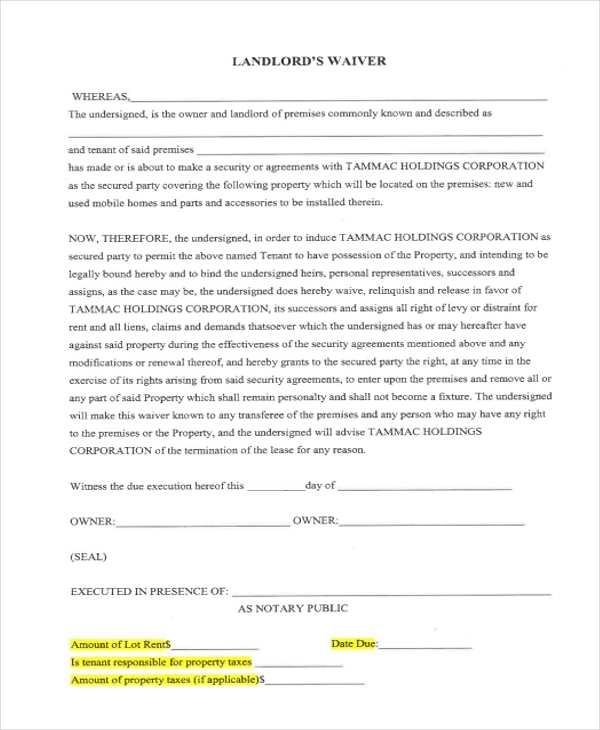 This form is used by a landlord or a real estate agent to sign a legal agreement between the landlord and the tenant. This form specifies the clauses of tenancy that both the parties should follow diligently. 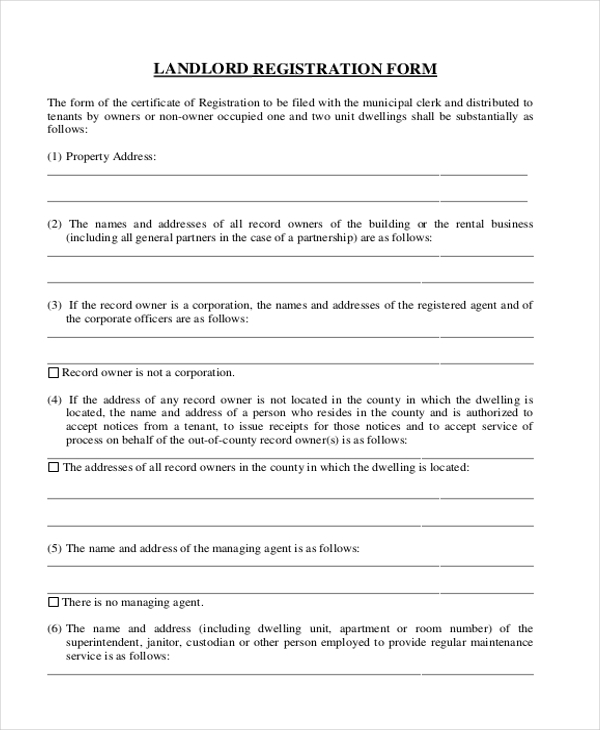 This form is used by a landlord to verify the details provided to him by a prospective tenant. He uses this form to list down the details and then sends it to the tenant’s previous landlord or office for verification. This form can be used by a landlord to waive off his responsibilities on the rented property and instead hold his tenant responsible. In such cases, the tenant is then responsible for paying the bills and other expenses. 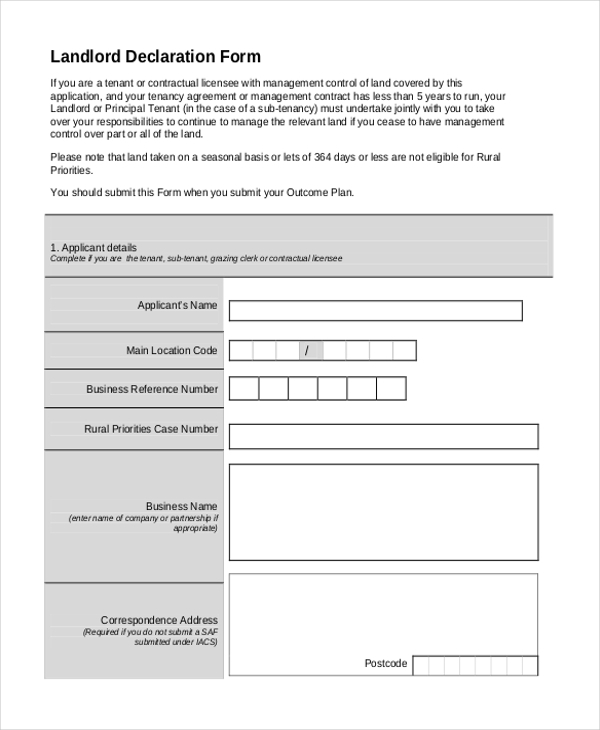 As the name indicates, a landlord can use this form to evict a tenant from his property by giving him a 30 days’ notice. In the form, he should cite the reason for the request to vacate the property. What are The Benefits of Using Landlord Forms? In case you are not sure how to design landlord forms, don’t worry. With our vast collection of these forms, you are sure to find the one that will be apt for your needs. Download this and customize it as per your requirements. 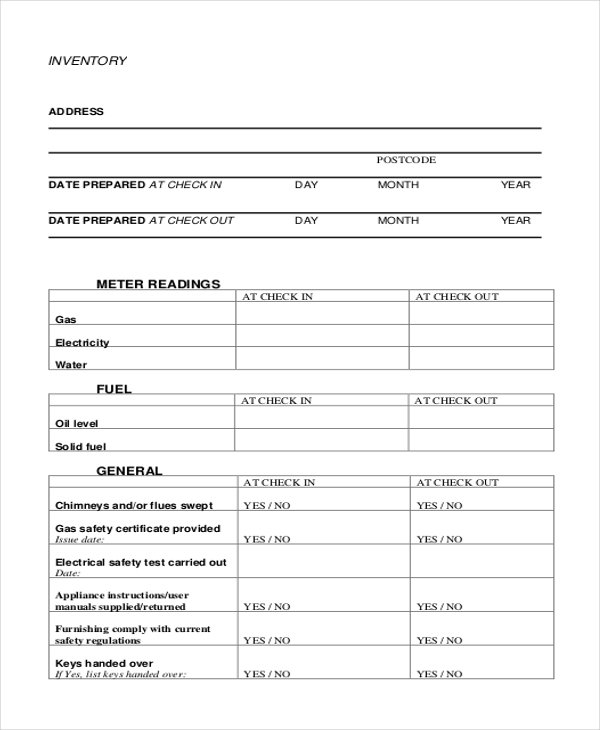 Since these forms are print ready and cost effective, these save you a lot of time and money.